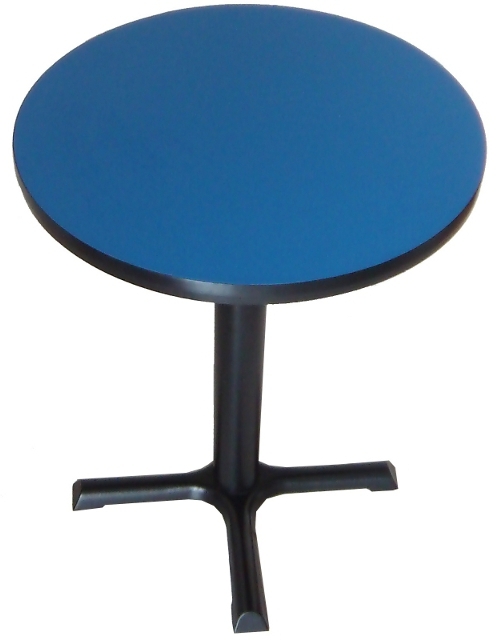 This is a great table for your restaurant, cafe, or office. Features a high pressure laminate top that's available in many colors. From the bright blue, to the black granite you should find a color to match your decor. The laminate top is scratch, and water resistant. 48" Round, 29" Height Weight: 98 lbs.